In the pre-computerization era, shares of listed companies were traded in the form of physical certificates on the stock exchanges. In the pre-computerization era, shares of listed companies were traded in the form of physical certificates on the stock exchanges! Yes, that is right! Traders had to hold physical copies of stock certificates in their hands and run to brokers to get them to sell the shares. It was cumbersome and chaotic! With the introduction of the Depository Act of 1996, all shares had to be dematerialized. This meant that all physical share certificates were converted to a digital format. The shares were then deposited with a Depository, an organization that holds investors' securities in an electronic form, or a dematerialized (demat) form. Today, India has two registered depositories – National Securities Depository Limited (NDSL) & Central Depository Services (India) Limited (CDSL). Depository Participants (DPs) are agents of the two depositories that interact with investors. In total, there are 866 DPs -- 289 under the NSDL & 577 under the CDSL. Any investor wishing to trade in the share market has to open an account with any of the DPs. An investor can open multiple accounts with the same DP or with different DPs. PAN card is most the essential document required for opening a demat account. A demat account can be opened for minors too, where the account will be operated by the guardian until the minor comes of age. Opening a joint demat account with a juvenile is the perfect way to introduce the youth to the stock market. 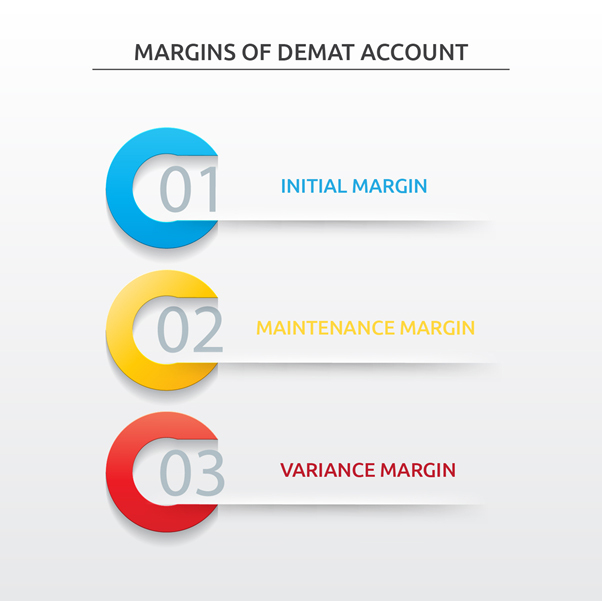 Now, having opened a demat account, we look at the daily operations of the same. The investor has to link his demat account with his trading account. All DPs mandate that the investors maintain a margin for trading in futures and options in, i.e. some buffer amount before trading. Initial Margin: This is the amount that an investor has to maintain to enter into contracts. Maintenance Margin: The minimum margin to be maintained at any given point in time and if the margin amount falls below the prescribed level, then the investor has to pay a variance margin. Variance Margin: The difference between maintenance margin and initial margin that is collected or given to the investor. Now, what’s in it for the DP? The DP levies a brokerage fee -- a small percentage of the total value of the trade. Now that you know the basics of a demat account, you can start investing in stocks. All the best!